Finished. It worked up really quickly! Okay, in about 5 hours. I’m not that fast and there was a lot of hand stitching around the eyes. I’m so pleased with the result. 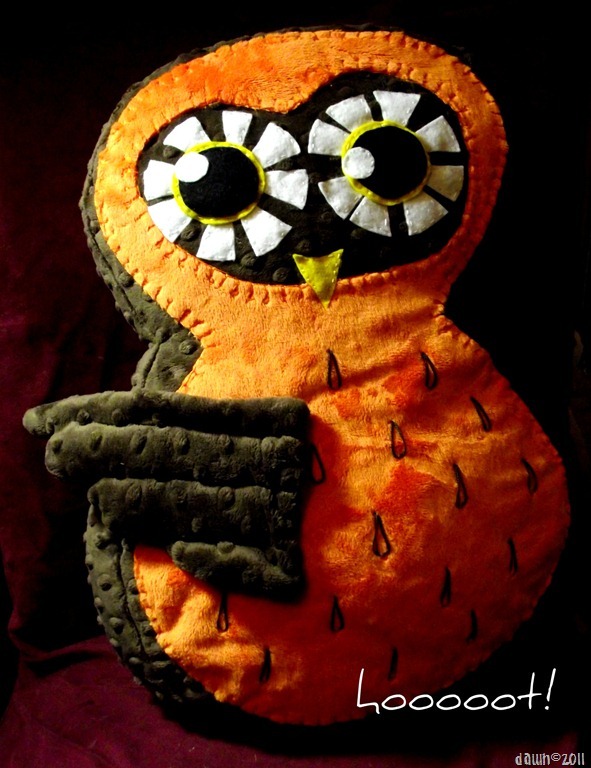 The whole owl is 18-inches tall and 4-inches deep. The back is plain brown. I machined stitched the body pieces together once the hand stitching was done. I especially love how the wing turned out. And now, I have no deadlines. What an odd feeling. Of course it means that means that nothing will get done.